President of South Ossetia Anatoly Bibilov concluded his three-day visit to Syria on Wednesday. During his visit, Bibilov met senior Syrian officials and discussed with them the prospects of developing relations between the two friendly countries in all fields. In a morning visit, President Bibilov and the accompanying delegation visited the People’s Assembly and discussed with its Speaker Hammoudeh Sabbagh ways to strengthen parliamentary relations between the two friendly countries. 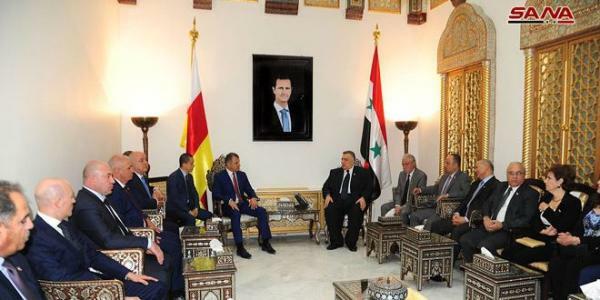 During the meeting, Bibilov affirmed that his country will work to enhance aspects of cooperation, especially the political, economic and parliamentary with Syria, which represents the heart of civilization in the world and everyone should do everything in his power to preserve the Syrian cultural values instead of working to destroy them. In turn, Speaker Sabbagh stressed that the Syrian people will not forget the support provided by the friendly countries and allies and the honorable positions of the Republic of South Ossetia to support Syria, indicating the importance of developing parliamentary cooperation between the two countries. In the same context, Bibilov discussed with Prime Minister Imad Khamis the prospects of economic, cultural, technical and scientific cooperation between the two countries and ways of developing it to serve the aspirations of peoples of the two countries. The president of South Ossetia explained the economic and investment situation in his country and expressed his confidence that cooperation between the two sides will bear fruitful results for the benefit of the two friendly peoples. He also praised Syria’s steadfastness and its ability to overcome the terrorist war against it and restore peace and security. 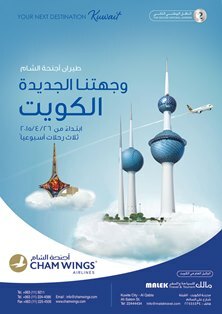 Khamis, in turn, hoped that the bilateral talks between the two countries will result in a long-term vision for cooperation at the economic level and to take effective steps in this field. The two sides signed two cooperation agreements to establish a joint governmental committee for economic, trade, scientific, technical and cultural cooperation and to facilitate and develop trade and economic cooperation between the two countries. In Dama Rose Hotel, the South Ossetia’s senior delegation met with head and members of Damascus Chamber of Industry. The meeting dealt with the mechanisms of joint commerce and economic cooperation. For his part, Biblov said that his country will offer its expertise in the banking and agricultural fields and is keen to benefit from the experience of Syrian businessmen and their skills in delivering their products to various international markets.